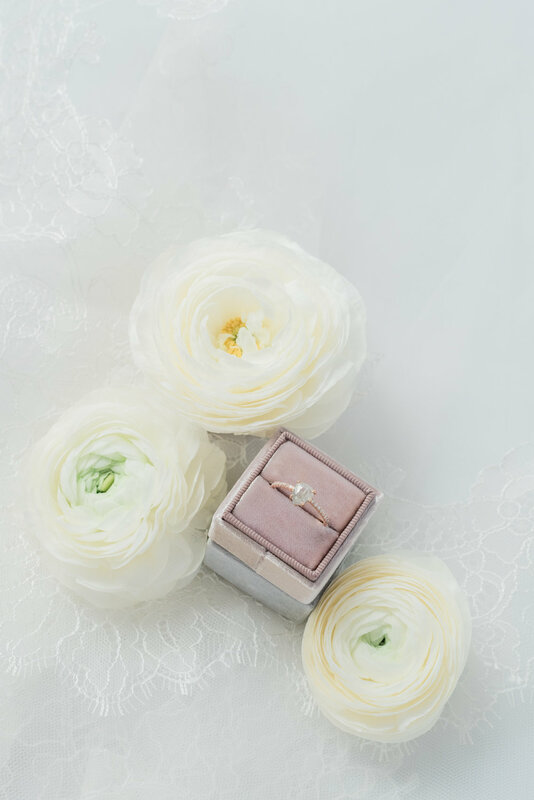 A few pieces of my engagement collection were recently featured in a wedding details photoshoot! They nestled up alongside some lovely stationery, florals and bridal accessories from other small businesses here in Huntsville, Alabama. 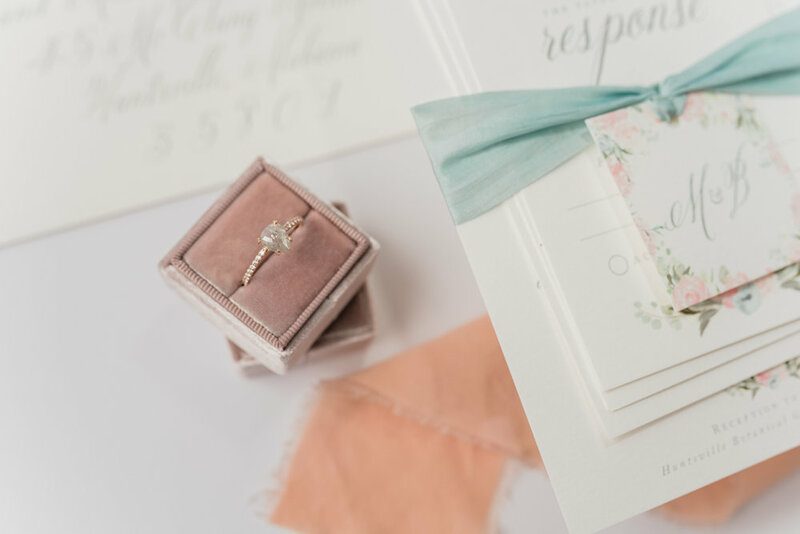 Can’t you just imagine this lovely color palette in a spring wedding?